How often do we as people truly look after ourselves and monitor the beat and rate of our heart? The most vital organ we have which keeps us alive how often do we know exactly what it is doing? Last night I had a bath and I lay in the water with only my face showing and ears covered by water and I could hear my own heartbeat and its rhythm. It felt great and peaceful and it was almost like being in the womb. I was at peace and had no stress and felt good. It was a form of meditation. I could hear no sounds apart from water and faint muttered out distant soundwaves. All I could hear was the rhythm of my heart. It was beautiful. But when I stopped I suddenly felt like I had re-entered a world of sin, suffering and suffocation where the search for peace and relaxtion like that is a constant desperate seeking. I suppose that must be what its like when you are born. We live in the beautiful waters of the womb where we feel so safe. There are no real sound of the modern world and our most comforting sound is that of a gentle heartbeat. The comfort and relaxation and endless peace engulfs us. We begin in the sacred beautiful womb. A world of peace, protection and paradise. But when we are born we enter a world which is not so safe and the noises are endless stress whether we realize it or not and we are in a constant desperate need to find brief moments of peace which is hard for us all to find. The world is hectic and busy and we dont have the chance or time to re-connect with our own nature and our own bodies natural rhythm. We must all make time to re-connect with our heart and energies and nature. We must re-connect with the pulse of our life which runs through our veins and make sure it is flowing free and beating well. How well do we truly know ourselves if we don’t engage and listen to ourselves? There is a deep ocean of knowledge within us. You would listen to your body if it was in pain so why do we not listen to our heart? We must know ourselves 100% and look after ourselves. We was once in total peace and paradise and we will someday return to such a place but we must find that peace as and when we can. How often in this manmade world do we truly have and know peace? Peace is the nature of us, peace was within the womb, peace is in nature and humanity and listening and sounds and even the silence of nature. Here is peaceful energies which we desire. Life is a journey from peace to peace…..
Love her or hate her Queen Elizabeth has held a long beautiful yet turbulent reign as Queen of the United Kingdom. She has weathered many storms in her life as a member of the royal family. She has faced hatred and anger over the years towards her family from the country and from Republican believers but her popularity is as strong as ever. She is the patron of over 600 organizations and charities. History shall remember her as a great queen. 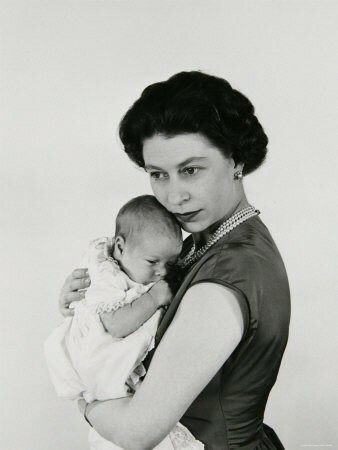 Elizabeth II was born on 21st April 1926 and has been Queen of the United Kingdom, Canada, Australia, and New Zealand since 6 February 1952. She is Head of the Commonwealth and Queen of 12 countries that have become independent since she became monarch including Jamaica, Barbados, the Bahamas, Grenada, Papua New Guinea, Solomon Islands, Tuvalu, Saint Lucia, Saint Vincent and the Grenadines, Belize, Antigua and Barbuda, and Saint Kitts and Nevis. HRH Queen Elizabeth has made many historic visits which include a visit to the Republic of Ireland which at one time was not imaginable due to hostilities. She has broken many barriers and created many friendships and granted freedom to many. 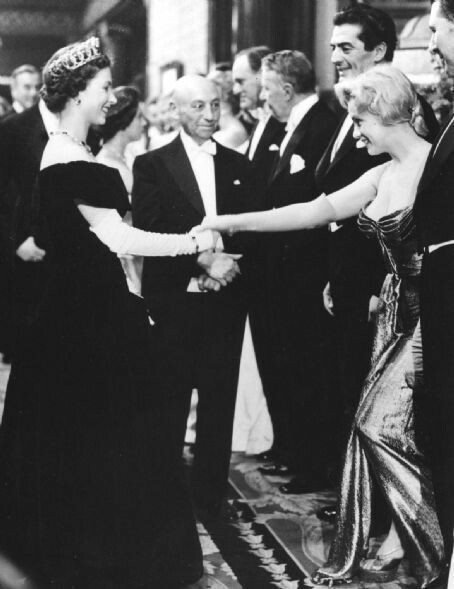 This is a picture of the Queen with Marilyn Munroe. She is well respected by many round the world. She has seen major constitutional changes, such as devolution in the United Kingdom, Canadian patriation, and the decolonisation of Africa. She has reigned through various wars and conflicts involving many of her realms. She has been a figurehead and a beacon of hope to many and the protector of the faith. Although she shall be remembered as a silent gentle queen who never gave interviews or expressed her opinion she shall be remembered fondly. The popularity of her is very high around the world and she is cherished by millions. “The children won’t go without me. I won’t leave without the King. And the King will never leave.” – The Queen Mother during the war. 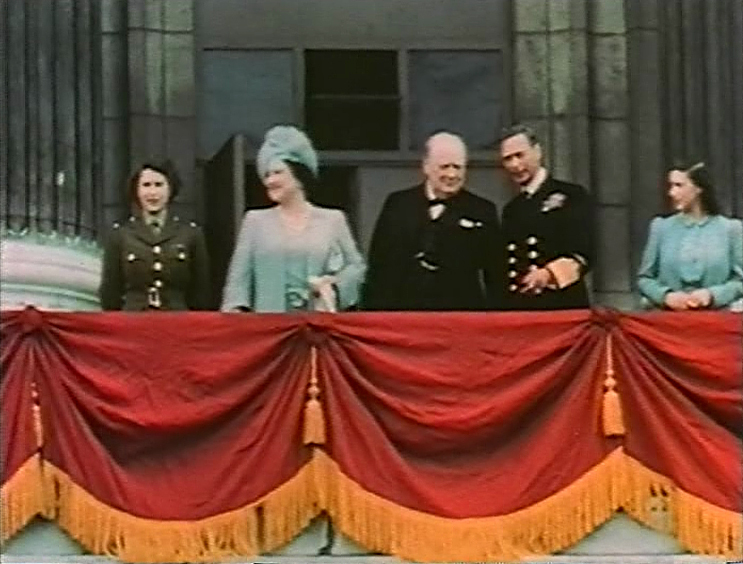 The Royal family gather on the balcony of Buckingham palace to celebrate the victory of world war two along with Winston Churchill. Elizabeth can be seen on the left as the princess. Most people of the modern generation will only know her as an old lady. 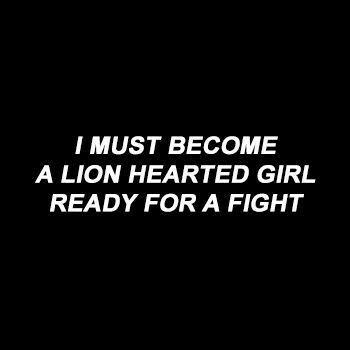 But the Queen came to the throne as a young woman and took the world on her shoulders at a young inexperienced age and must of been hard for her at first. She was a powerful woman in a male dominated society. A society where had she of had a little brother he would of been king over her. The Queen held her own and shone through. The Queen is a beautiful woman with a beautiful heart. She cared for people and loved ones and relatives just like anyone else. 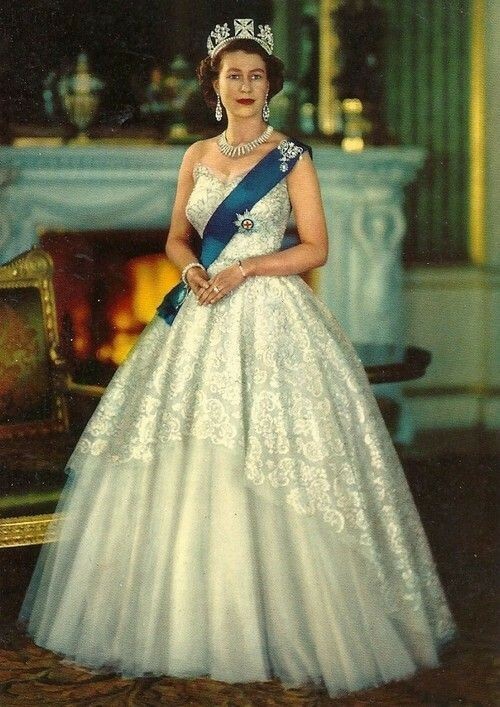 she was cherished by her grandfather George V, and during his serious illness in 1929 her regular visits were credited in the popular press and by later biographers with raising his spirits and aiding his recovery. She did her best to take care of him in his time of need and raised his spirits. 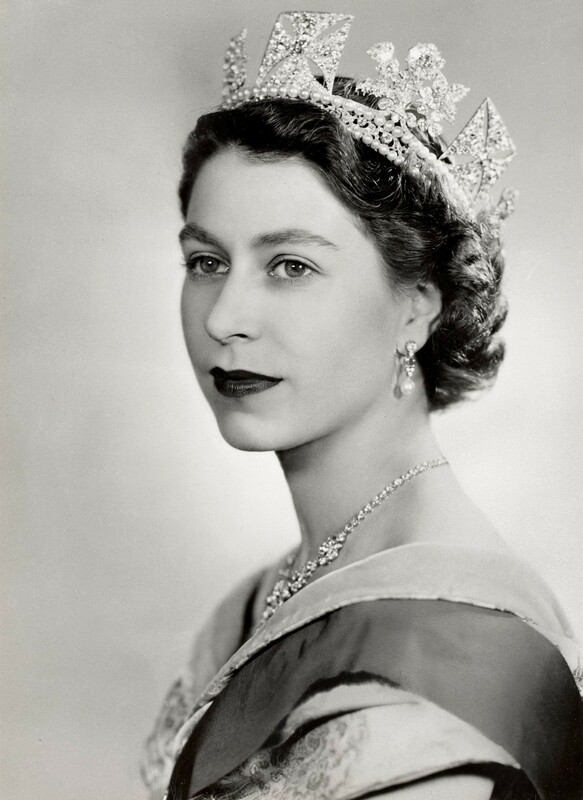 Although the Queen has many doubters we must remember she didn’t ask to be Queen, it wasn’t her choice. She was born into the Royal descendancy. The Queen wasn’t supposed to be Queen. Her father wasn’t supposed to be king. It was originally her uncle who was supposed to be king. But he abandoned the role of King Emperor due to the scandal of miss Simpson and the crown was passed onto the Queens father King George 6th. The Queen is possibly the most powerful rich woman in the world and the longest serving monarch in British history and maybe even the world. 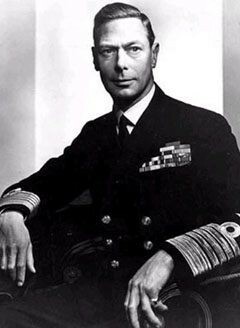 King George the 6th died of Cancer at the age of 52 and Elizabeth became the Queen of the United Kingdom. Althought there are many doubters and many negatives to be said of the Royal family there are also many positives. She brings in much tourism to see Royal palaces and castles. She does much good for charities. I once knew a man who worked in Buckingham palace. He was full of praise for the Royal family and often mentioned the sense of humour of the Queen mother and Queen Elizabeth and you can tell that William and Harry have a sense of humour also. What we must remember is the queen is no different to anyone else. She had been a baby, a child, a mother and a grandmother just like anyone else. She had done a magnificent job of doing all this and attending to royal duties. 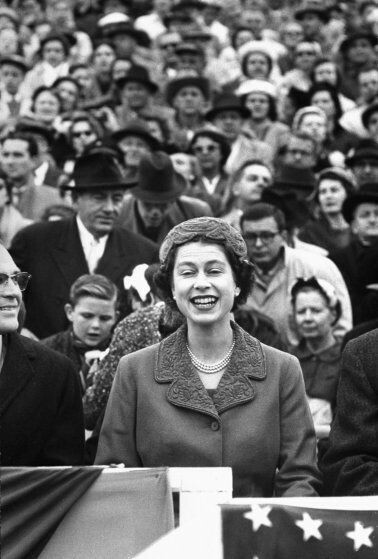 Life hasn’t been as pleasant for the Queen as many would believe. She has headed and helped many charities. She has attended many meetings and worked for peace for many and independance of many countries. She did all this and travelled far for many years while raising four children. This gets forgotten about and isn’t always brought to light. Not alot of people are aware of how hard she works. Can you imagine travelling often while raising four children? This was something she had to do and not something she can easily walk away from. The pressure of being Queen must be immensely heavy. The Queen does many Royal duties and unlike Diana who was right in the public eye the Queen slips through the net under the radar and does her duties without the worlds attention. She is a symbol for many. 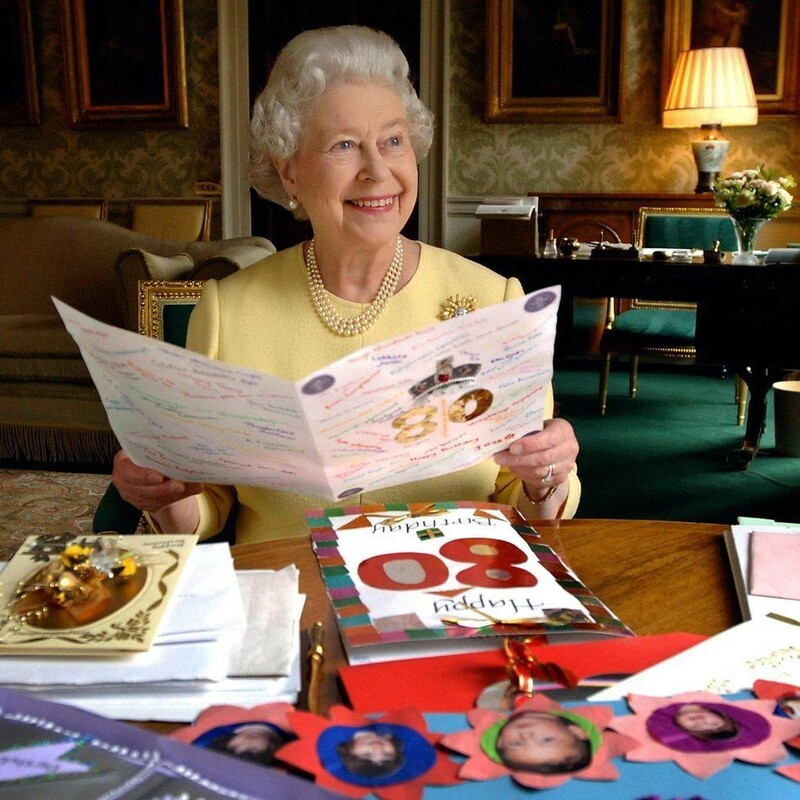 The Queen has done a magnificent job of keeping the Royal family together through many storms. The aftermath of world war two, the premature death of her father king George the 6th and the divorce of her son Charles and the great storm she faced after the death of Diana. There was a media campaign at one stage against the Royal family but the queen won through and has restored the faith in the monarchy. She has reached many mile stones. 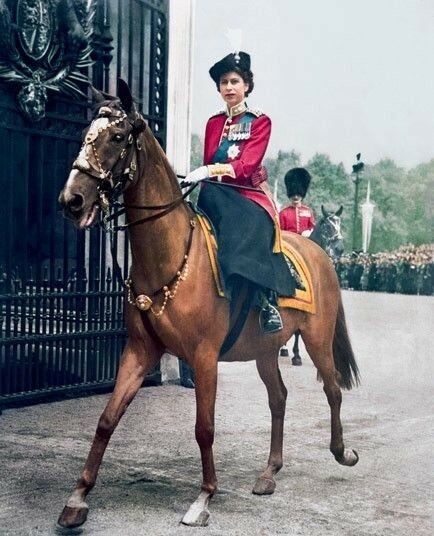 She has become the longest serving monarch and has celebrated her silver, golden and diamond jubilee. She has achieved plenty as Queen and has helped many. She has done a grand job of what life selected her to do. Now she reaches the age where she is at life’s end I believe she can look back and be proud of her achievements and all she has overcome. She has worked much harder than anyone can imagine. 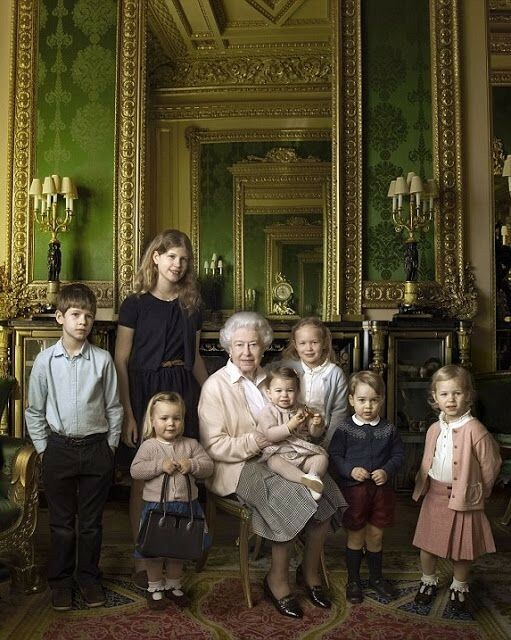 Here is HRH Elizabeth with her great grandchildren. She has been blessed with family and just like anyone else she can be happy for belonging to a family. At the age of 91 she can look back and know history shall remember her fondly and now she can enjoy the present of what she has such as her modern family which are a credit to her such as William and Harry and Kate Middleton who will bring in a new era. So well done to the silent but great and golden Queen for all your devoted work. May God save the Queen. May she be long to reign over us as she has done to almost two generations and may her good work be continued going forward. May she enjoy the rest of her days at life’s end. Today it was announced that Kate Middleton is expecting her third child and the world shall bask in this wonderful news. I have always been a fan of Wills and Kate and they bring a breath of fresh air to the royal world. I wish them all the best. So the excitement begins of whether it will be a boy or a girl. The world shall follow this story with wonder and excitement. Kate suffers badly with pregnancy she is always heavily morning sick. May she be OK and we all wish her well. She is a true English princess and has the potential to follow in the footsteps of Diana. There is the aura of an angel about her just like Diana and she has made the royal family exciting once again and her story is one of a fairytale princess story we all witness as children through Disney. It shall be an exciting time once again with people eager to find out the news. Crowds shall gather outside the hospital in 9 months time hoping to catch a glimpse of the new born royal baby. The media shall circulate the globe. The princess we all love shall be top of the news again and talk of the world. It has come at a good time. Just when the world needed good news and a good thing to grip onto it shows up. This beautiful baby has reminded us all of the beauty of life and what matters most. We must make a nice new world for these new born babys and children and not one of danger. It has reminded us that beauty and love and life shall win through. May their baby grow strong and healthy and be wise and live in a world of beauty and peace. “If you must break the law do it to seize power, in all other cases – observe it” – Julius Cesar. This is a topic which is often raised with those for it and those against. Into the subject goes morality and ethics. Should the death penalty be allowed? Should it be re-instated? Is there warrant for it? In my own personal opinion I believe there is a warrant for it. I often hear on the radio of murders and serial killers and horrific crimes and its very upsetting. Often these sick crimes are rewarded with hardly any kind of a punishment. How is prison a punishment in these days? They get to stay safe indoors in nice enough conditions and get priviledges and some even get computers. Why are these people being given anything? They should be made to exist in the worse of conditions. Once I visited Beaumaris jail on the isle of Anglesey. This was a jail in the Victorian times and is now a tourist attraction. As soon as I walked in I could feel the tight suffocating atmosphere. I could instantly tell suffering had took place here for any crimes. The rooms were small and some with no windows. The inmates had to work hard just for their breakfast. They were punished hard if stepped out of line. How have prisons changed so much that inmates are now seen having fun and drinking and mobile phones sneaked in unnoticed. What kind of places have prisons become where it is acceptable to be in and not too much hardship? Where the life is OK. Prisons should be feared. They should be a place where human rights for murderers is hard to come by. Some will say its inhumane to execute them. But where was their humanity and humane views when they took innocent lives? These people are exempt from humanity. They are not apart of it. They should be wiped out and took out of life so we don’t have to care for them. This will free up space in prisons with people of lesser crimes. This will save the tax payer paying to keep them and the money can be put towards a good thing instead of useless to society monsters. People say ‘oh killing them is an easy way out for them’ but I dont care. I dont care about that I want them gone and no longer a threat to anyone and not allowed to live. They take up space and time and money. If I murdered someone I would expect to lose my life and why not? If someone had murdered someone close to me I dont see jail as justice not in the modern day. When has society become so weak it is scared to punish such evil? What kind of society do we live in where murderers can still have their life and live it out in an OK environment protected by laws and human rights after they took a life away? Surely human rights shouldnt apply to these people. They opted out when they disrespected the human rights of others. Recently it was on the radio of a man who killed a man in an unprovoked attack and punched him. He died and the man who killed him got 6 years in jail. How is 6 years justice for the victims family?? The victim got an eternal sentence. His life was ended! He faces a small punishment then walks back into civilization to enjoy his life and see friends and family etc. Whereas his. Victim is gone forever… He has murdered someone. What if he does it again? I know in certain situations we must be careful incase there isn’t much evidence but one concrete evidence where is the issue with putting monsters down? Imagine if one of these people escaped.. Some will argue that these people can be rehabilitated and helped but for what purpose? They can never be released and allowed back into society. They can never be allowed a normal life. What is the point in wasting resources on these people? They knew what they were doing when they broke the law. So if you cant do the time dont do the crime. I understand rapists and thieves etc should be given second chances etc but murderers especially cold brutal murderers should be put to sleep. Im not refering to accidental murder as in manslaughter etc because that is just unfortunate. There are situations where you might accidentally kill someone etc and thats fair enough its unfortunate but intended murder is evil. Child murderers are evil etc why are they allowed to continue? The yorkshire ripper for example costs the British taxpayer alot of money a year to house him etc why bother? He cant be free. Can the money not be put to a more useful cause? Society needs to be stricter on those who operate outside its core. Outside the mainstream of society which operates nice behaviour and compassion. Why should nice people be put at risk? Perhaps knowing you will die too will make murderers think twice. Everyone knows murder is wrong. The only regret some of these murderers have is being caught. All through time women have been supressed and told they are the lesser clever gender and second to man and this still happens in many societies to this very day. Whereas I believe women have a grander role to play in humanity and life and always have. Afterall how can a man be better than a woman? Although men dominate the world physically its surely women who dominate mentally and more powerfully in all aspects of life. Its women who are more powerful in nature and have power over men that a man could surely never possess. Women hold all the power especially in the mating game. It is women who nuture children into this world and brings us up to be the people we are. It is women who gave us life and protect us and who we all run to as children. Women are superhuman compared to men. Women can adapt and change for example during pregnancy womens senses change and she possesses better smell and skin and hair and eyes. They can grow an entire person inside them which is a superb achievement and women have a higher tolerance of pain. When a man buys a house it is a woman who makes it a home. Whatever a man gives a woman she makes it better and grander. In my eyes women are super beings!! What a woman achieves in life such as creating a family bringing children into this world and raising them is far more of an achievement than any man could ever dream of! In school it is women who often get better grades than men. Womens attention to detail and intuition is superior to a mans. So how can a man be superior to a woman? Although its a mans world is it really? For I think all the men in the world and developed and taught and created by the amazement of a woman who has made them become the men they are today. How can a man oppress and discriminate against women when the two most important people in his life his mother and wife belong to that gender? I am so sick of the modern day crazy world! How can this madness of been allowed to happen? How can an idiot like Donald Trump been allowed to power? The guy (from what I know) couldnt run a bath let alone a country! He goes round shouting his big mouth off upsetting people. Wheres your diplomacy you mad moron? Wheres the politics in you?! It doesnt exist! You are embarrasing democracy! You ask if its nazi Germany then no! Hitler even didnt say stupid s**t about people! He had a brain and sadly a plan! You have no idea! You nothing but a fool. A situation and a mess waiting to happen for someone else to clear up!! You should resign now! How can people compare Brexit and Trump? One voted away from a dictatorship the other voted for it! How could brexit of been allowed to happen? Has the British government totally lost its mind and lost contact with the British people? All governments care about is money money money and people just get in the way!! They dont care for people and the attitude is ‘if people die they die so what’ process! Governments are fooling people. People are people and humanity should come first but oh no of course not. Lets line the pockets of the rich first. Since when has it been a good idea to fight evil with greater and more evil? This is proper madness! How can it ever be ok to blow up innocent people and children? How can western leaders sleep at night after ordering the deaths of children? Exchanging blow for blow will be like a long drawn out going the distance boxing match! How will we ever achieve amnesty unless someone decides to be the bigger and better person? How can you say your civilized more than anywhere else just because you have more dangerous weapons? If you was civilized surely you wouldnt ever use or need weapons. You would help make the lives of the people you seek to stop better. Love is stronger than hate! Why terrorise people and children? Why not help them instead? War is not an answer to hate and terror. Words and understanding and apologizes are the way forward not blowing them all up. Had their not been previous invasions then there would be no terror today. There was no need invade Iraq! Now the vacuum has opened and evil has began! People are angry as loved ones were killed by terror from all four corners of the world! This world needs love! Make this happen! Only a moron would blow people up!! This has to end now! How dare you inflict terrorism and death upon on the innocent? Do you not know what the true word of humanity has ever meant? We are the people we shall not live in fear, we are together and humanity is one now and in your name there shall be no more fright and no more sad tear, for is the revolution! Now humanity is here!